Yea, & the lord did smite the unbelievers until their flesh did groan & their bones did powder. Alot like wot I got right here baked into my holy symbol. You want a closer look?! 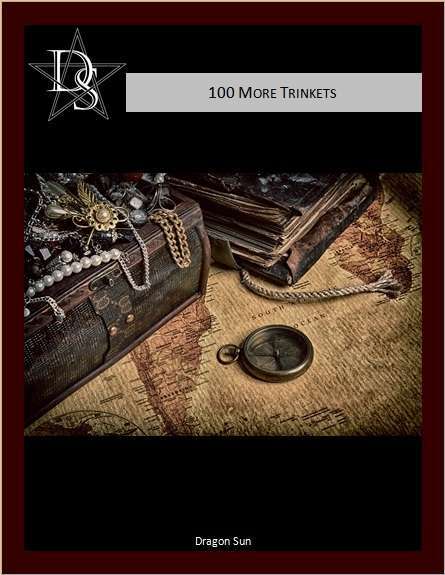 We present 100 new trinkets tailored for Clerics & their congregation. What will the bones predict today? Does your lord truly speak through your icon, or is it merely a tricksey devil? How can you remove the invisible crown of thorns you suffer? That's up to you to discover!